That is the informal way of saying “Goodbye, Germany!” in German. My time as Alexander von Humboldt Research Fellow in Oldenburg has now come to an end, and I wanted to share a few reflections on my experiences in Germany. 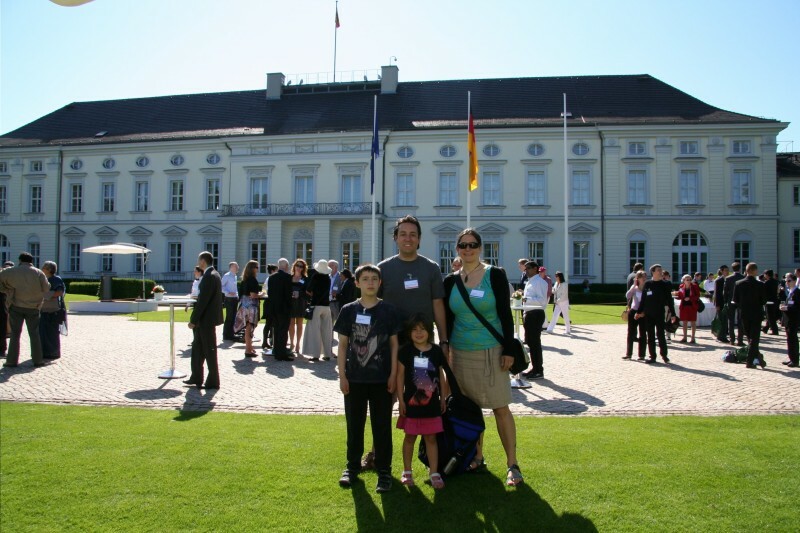 My family and I at the Schloss Bellevue, the official residence of the President of Germany, at a reception during the Alexander von Humboldt annual meeting in June 2013, Berlin, Germany. The last several months of the fellowship were a flurry of activity on all fronts. By September, my German colleagues and I had finally received the Veronica transcriptome data that we had worked so hard to generate. It ended up being over one hundred million sequences! Note: that is a LOT of data. Up until now, most of my research projects have involved dozens or maybe a few hundred sequences. To be able to work with such data, I am learning new bioinformatics skills, which involve running computer scripts that are written in computer languages (like Python or Perl), interacting with computers remotely, and using the programme “R” for statistics and graphics. Just before leaving Oldenburg, my colleagues and I submitted a paper on the evolution of genome size in Veronica, and we also attended the 15th Annual Meeting of the Society of Biological Systematics (GfBS) in Dresden, Germany. At that meeting, I presented our most recent sequence assemblies and downstream analyses of our Veronica transcriptome data, and got up to speed with the latest research in Germany. Group photo at the GfBS meeting in March 2014, Dresden, Germany. Although it won’t be as easy as when I was just down the hall and able to attend weekly lab meetings, we will continue our Kiwi-German collaboration on these and related projects using remote computer access, e-mail and Skype. I was very fortunate to have had the opportunity to work with such great colleagues in Oldenburg, and of all the things I will miss about living in Germany (the language, the trains, the cycling, the local traditions, the bakeries, the sausages, the beer, the scarves!, etc. ), it is my new colleagues that I will miss the most. 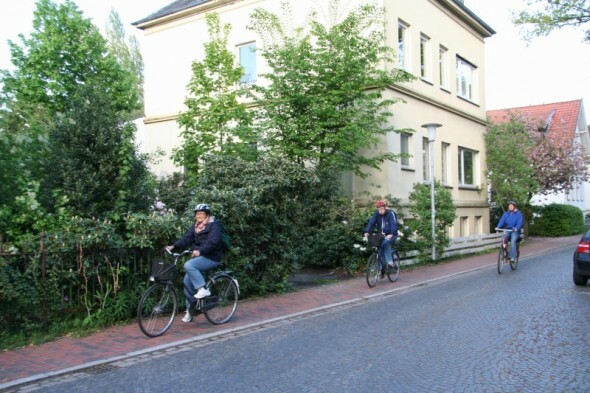 One of the daily pleasures I will miss about living in Oldenburg, Germany: cycling around town. Photo by Mauricio López. And actually, this is probably what the Alexander von Humboldt Foundation is all about: promoting international cooperation that will continue on well after the fellowship. 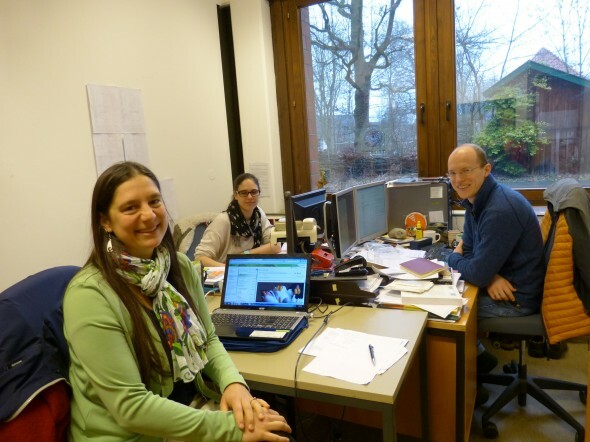 Here I am in the office I shared with graduate student Lillian Lee-Müller and lab manager Eike Mayland-Quellhorst at the University of Oldenburg, Germany. Photo by Silvia Kempen. Me at the weekly lab meeting with Dirk Albach (who hosted me during the fellowship, on the left) and Bernhard von Hagen (right), University of Oldenburg, Germany. Photo by Silvia Kempen. 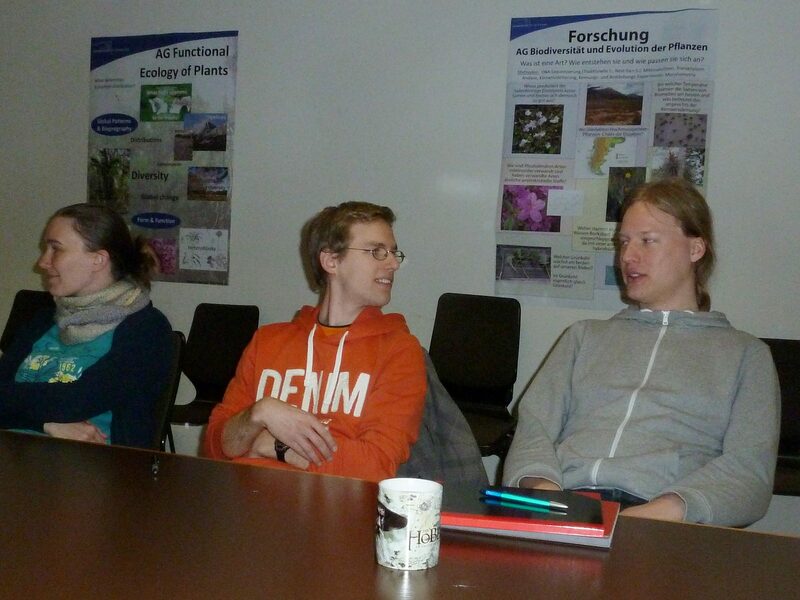 Graduate students Janina, Christoph and Niklas at the weekly lab meeting. Note the two posters behind them showcasing the ecological and evolutionary research from the labs of Dirk Albach and Gerhard Zotz, University of Oldenburg, Germany. Photo by Silvia Kempen. 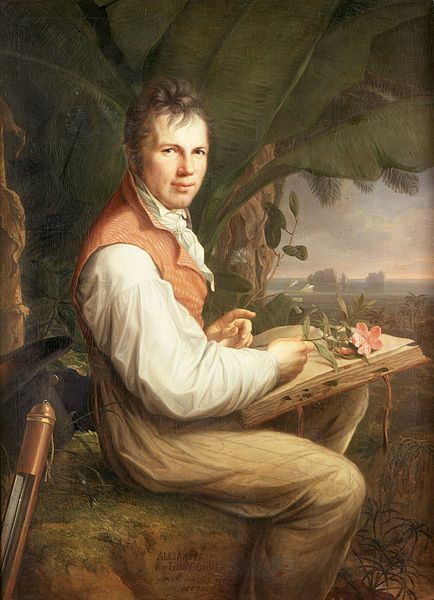 Last week, I read a biography of the German explorer, scientist, geographer, and naturalist Alexander von Humboldt (1767–1835). The Foundation which bears his name was started shortly after his death by his colleagues and friends to support young scientists and collaborative research. There are currently over 26,000 “Humboldtians” in over 140 countries, including many from New Zealand, and the list continues to grow. Now that my fellowship is over, I am very grateful for the opportunity and the experiences my family and I have had in Oldenburg, Germany. I am also both humbled and honoured to be a newly-minted Humboldtian, and I look forward to using what I have learned and sharing it with my colleagues when I am back in Wellington next month. Perhaps it will all come full circle and my German colleagues will come to Te Papa to work with us, too. And that is something Alexander von Humboldt would surely appreciate. Looks like that you have done a great job! I am sure that after you manage to deal with such a hugh amount of data, really nice an interesting results will come out. 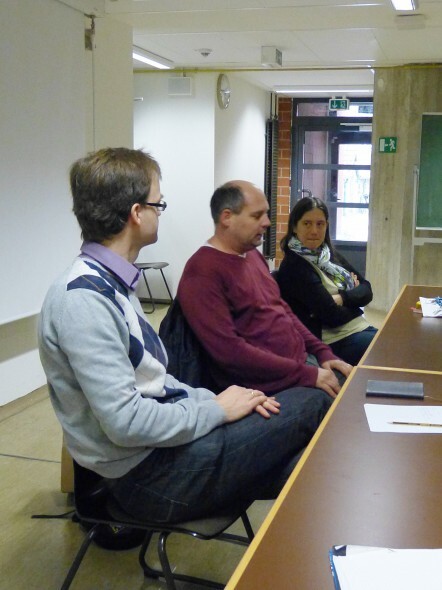 Also, it´s great the collaboration that you have started with who were, at first, your host at the University of Oldenburg and now are your colleagues and friends. I think that the “Alexander von Humboldt Foundation” is right by promoting international cooperation, something very important in the scientist world. I wish you and your family, such an incredible experience (like this in Germany) in the future!